Cycling Kingsbury Grade West by road bike. Daggett Pass connects Hwy 395 (east) and South Shore Lake Tahoe (west). This is by far the more difficult side of Kingsbury Grade (Daggetts Pass) at 6 miles and an average grade of 6.1% up to an elevation of 7,357’. While there are several brief descents along the way (129’ total descent), this is a predominantly steady 6-8% climb. The elevation profile has one brief 20% grade, but this is a false GPS reading. The roadway is in excellent condition and moderately travelled, but good bit of the traffic are big rigs (although not able to race too fast up the grade). The road is in excellent condition and there is a wide shoulder the entire route. Kingsbury Grade relates to the community of Kingsbury on the western side of the pass. Start just west of Gardnerville at Hwy 207/Foothill Road. Hwy 207 is plenty wide and has bike lane the entire route. Excellent views east of Carson Valley first 3 miles of climb. The grade is clearly discernible as we climb. This side of Daggett Pass is one-half the distance of the route from the east at 3.1 miles with an elevation gain of only 1,045’ at 6.4% average grade. There are some, but not exceptional views of Lake Tahoe as we descend. As with the route from the east, there is moderate traffic along the climb, although it is much heavier towards the bottom. The road is in excellent condition without any blemishes as of October, 2018. The Tahoe Rim Trail crosses our route about 1 miles from the top. The climb from the west varies from a max 10% to flatter 2% in stretches. This is the Lake Tahoe side of Daggett Pass. 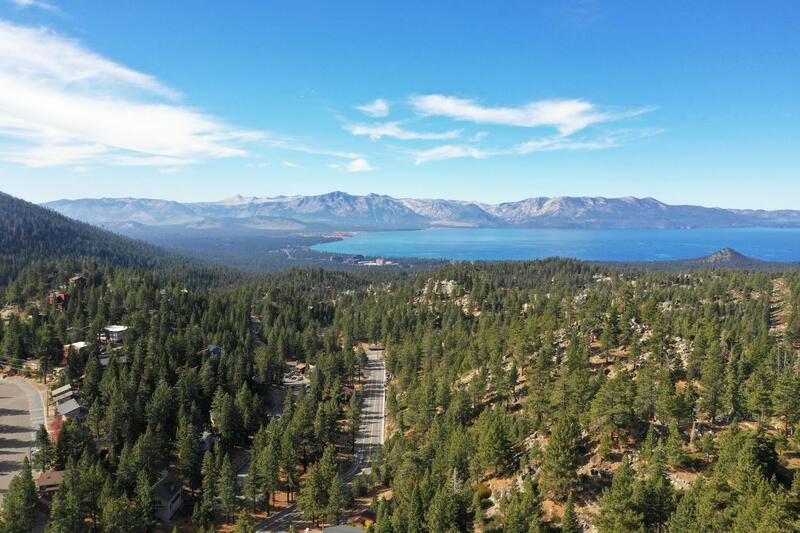 The Kingsbury Grade climb from the west is easily accessed from South Lake Tahoe at the southeastern corner of beautiful Lake Tahoe. Other climbs within a 25 mile straight-line radius of the start of this climb are Kingsbury Grade - East, Luther Pass East, Old Clear Creek, Spooner Summit , Carson Pass East, Death Ride, Markleeville, Mt. Rose West , and Monitor Pass West .. Access these other climbs by clicking "Routes in Area" on button below or the climb card above right.